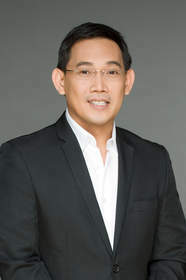 SINGAPORE--(Marketwired - Jan 15, 2014) - RTL CBS Asia Entertainment Network, the joint venture of RTL Group and CBS Studios International, announced today the appointment of Rene Esguerra as Country Head for the Philippines effective immediately. Reporting directly to Daniel Fung, Executive Vice President of Distribution, RTL CBS Asia Entertainment Network, Esguerra will oversee the operations of the network in the Philippines with a focus on distribution and advertising sales. With RTL CBS Entertainment HD already aired and RTL CBS Extreme HD to launch in early 2014, he will explore new opportunities to elevate RTL CBS Asia's presence in the Philippines. Esguerra is a seasoned executive of the local pay-TV industry with over two decades experience in distribution, channel operations and advertising sales. Daniel Fung, Executive Vice President of Distribution, commented: "Rene brings with him solid experience and a thorough knowledge of the Philippines' pay-TV industry. The Philippines is a very important market for us. With Rene as a valuable addition to our management team, we look forward to closer collaboration and greater engagement with our local partners." In the Philippines, Esguerra worked at ACCION for 17 years as its General Manager and then its Chief Operating Officer where he oversaw the interests of international broadcasters like Discovery, Disney, STAR (now Fox International Channels), and NBC Universal, among others. RTL CBS Asia Entertainment Network is a venture formed in August 2013 bringing together two of the world's largest content producers: RTL Group, the leading European entertainment network, and CBS Studios International, the leading supplier of programming to the international market place. Its two new channels, RTL CBS Entertainment HD and RTL CBS Extreme HD, will be distributed in more than 20 Asian markets.